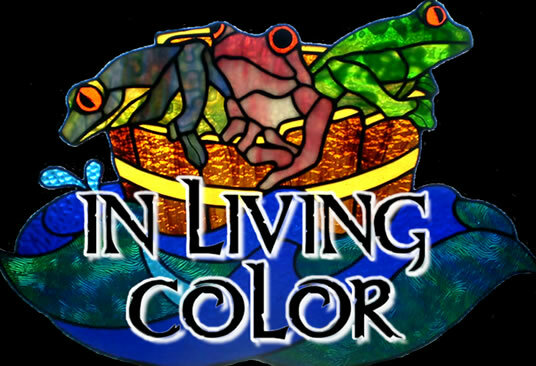 "A World of Living Color"
In Living Color features the stained glass artwork of Heather Baker. You will find beautiful and unique stained glass pieces: wildlife, geometric designs, collector plates, Christian cross and symbols, Christmas, Easter and flowers. Larger designs for hanging in windows, smaller items to hang in a window or on a Christmas tree. 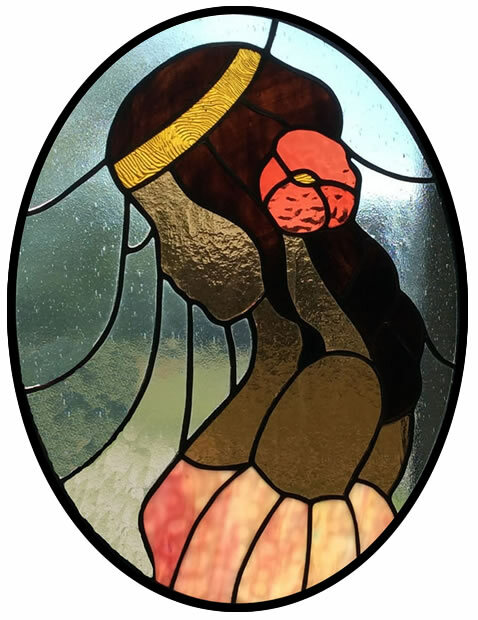 You can get a custom piece for a transom or a front door side glass design. 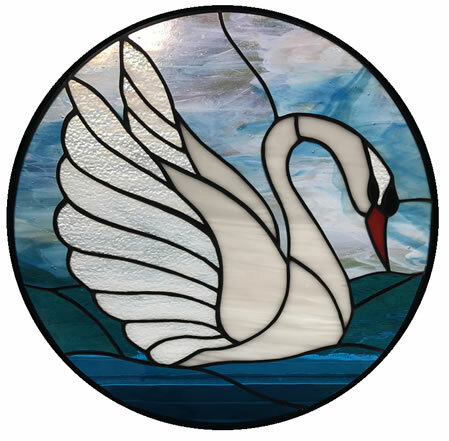 See the stained glass gallery to get a better idea of the various pieces Heather has made. People living from Waco to Georgetown can sign up for stained glass classes. Heather has been teaching stained glass for over 20 years. Learn more about our stained glass classes. Heather uses antique glass and various decorative glass manufactured by some of the most well-known companies: BullsEye, Spectrum, Yakagany, Uroboros, Armstrong and others. In Living Color is a stained glass business owned and operated by Heather Baker, a stained glass artist for over 30 years. Heather specializes in making window hanging stained glass art. She loves animals and nature, but her unique style of stained glass art includes using 3D elements, opaque glass and incorporating glass around broken china plates, restoring their intrinsic value.